The battle among premium car brands is as fierce as ever, with plenty of capable cars to choose from. Not just traditional saloons either with something different on offer if you want to stand out from the crowd, so if you’re looking for a luxurious and comfortable motorway motor, there’s never been a better time to buy. Here's the top 10 that are most popular with you - our readers - as decided by the number of page views. The 3 Series is one of our favourite saloons. And as it turns out, one of yours too. This 3 Series has brought plenty of new features to BMW's compact four-door with xDrive four-wheel drive now available - giving 3 Series owners an alternative to Audi's quattro models. There is also a hybrid in the shape of the 330e which emits just 49g/km of CO2. 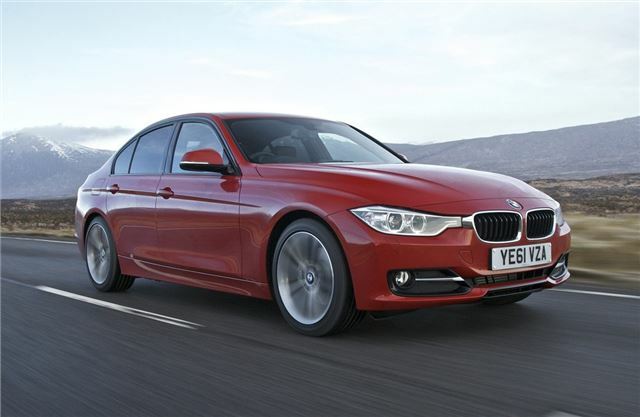 However, the most popular model remains the 320d and it's easy to see why. It combines strong performance with good fuel economy making it a favourite among private buyers and company car drivers alike. Sitting on plastic is something I thought I'd left behind me when I traded in my Mk.2 Cortina for the coke-bottle Mk.3 of the mid-70's. No more ill-fitting seat covers to stop "burnt-thigh", a feature of 60's travel in summer shorts. And the "new" "C" had no spare wheel either. I've has "C" class cars for more than a decade, but not this one, thank you!. I've had C Class's for 20+ years and this is the best yet by far!! Artico is NOT like plastic - anyway, options include cooled as well as heated seats. Spare wheel not needed - you have to think like a Mercedes to deserve owning/driving one!! The Fatherland seems top have cleaned up on this one.